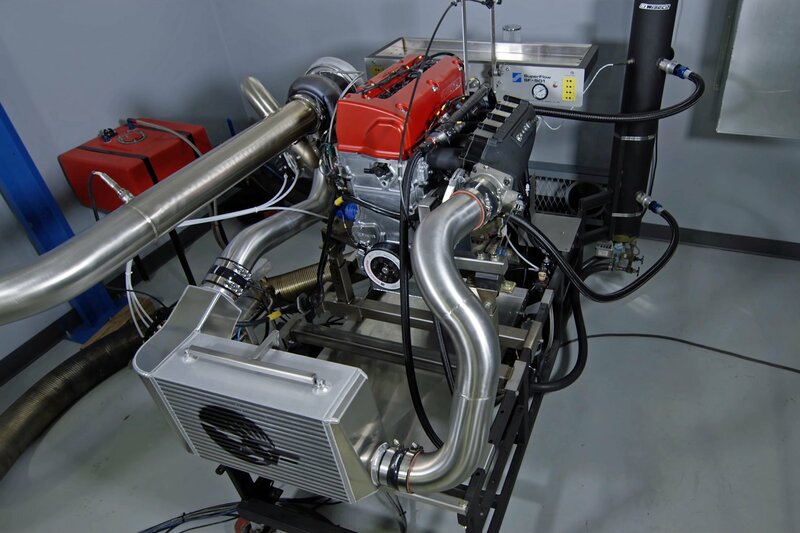 Most automotive enthusiasts will go their entire life without spending any time in an engine dyno cell. It’s probably safe to say that what exposure the average enthusiast has to a dyno cell is via short video clips and still images of exceptionally performing engines. 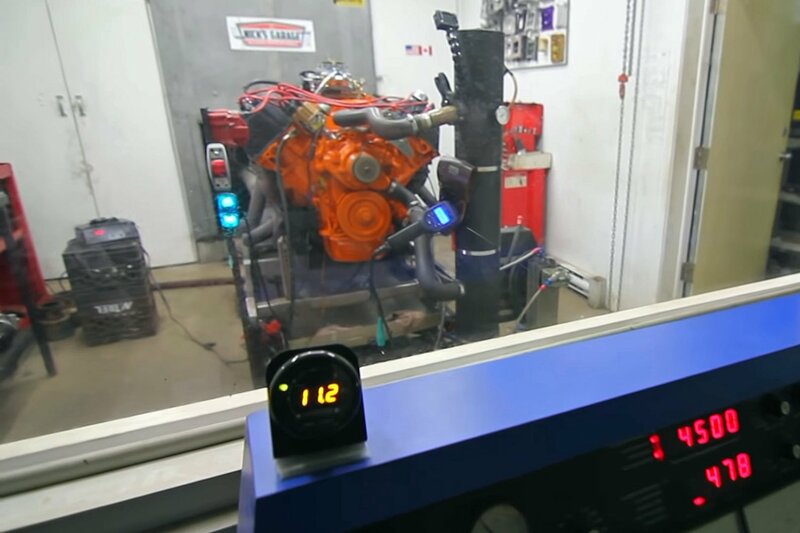 That micro-focused view might lead some to believe that putting an engine on the dyno is a simple, quick task, which always goes smoothly and leads to impressive test results. Much like how automotive TV shows make it look like everything goes together on the first shot, and that bolt-on parts, simply bolt on, that narrow frame of reference can lead to unrealistic views of the engine dyno. 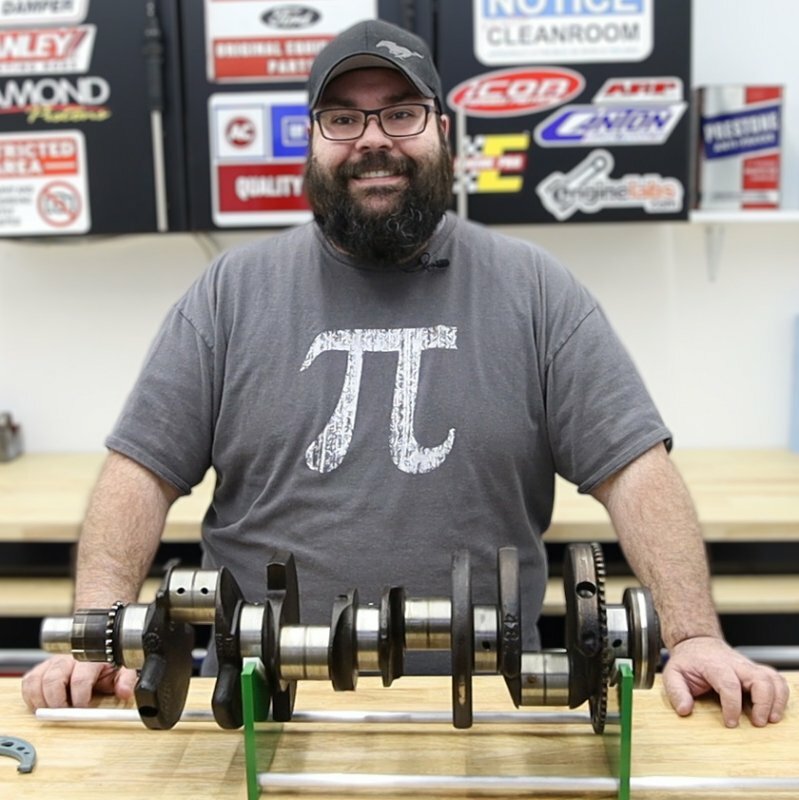 However, the YouTube channel “Nicks Garage” brings you into his dyno cell, pulls back the curtain, and shows the struggles as much as the successes. 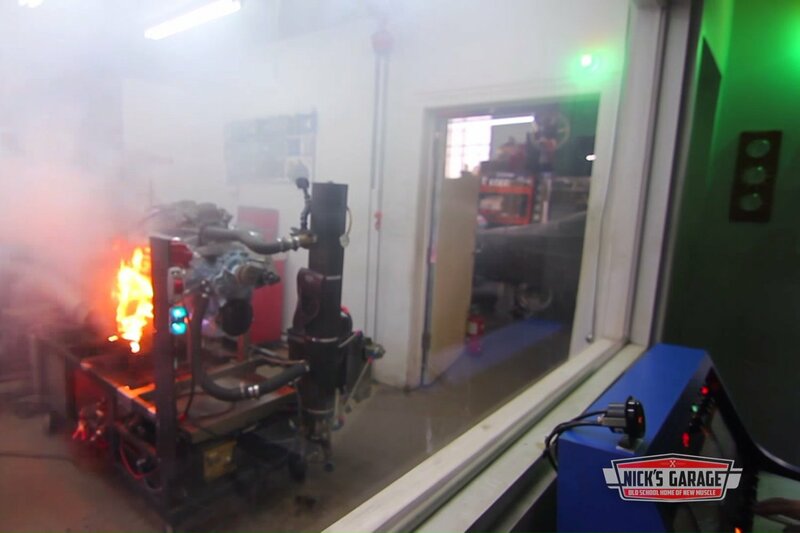 We’ve brought you videos from Nick’s struggles before, and while this one doesn’t result in a fireball, it is still an interesting look into the dyno room, when everything doesn’t go according to plan. After Nick Panaritis spent the previous evening breaking in the engine and then adjusting the valves on the 426 Hemi, he gets ready to start his quest for 550 horsepower from the mild rebuild. 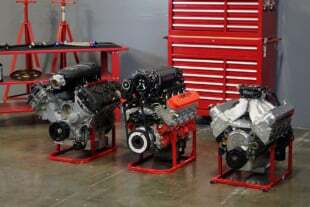 The engine features stock pistons with a “little” camshaft measuring in at a little over.500-inch lift, with solid lifters, and thin-wall, lightweight pushrods. 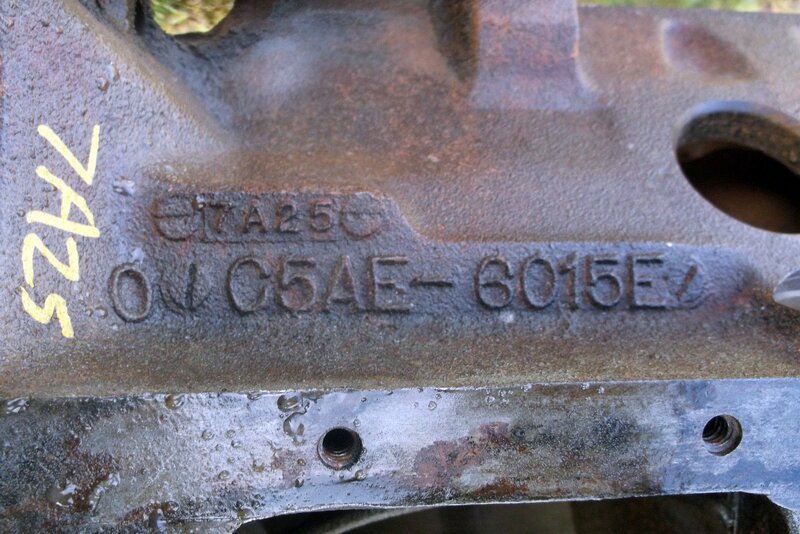 The heads are stock deck, with .056-inch Cometic head gaskets. 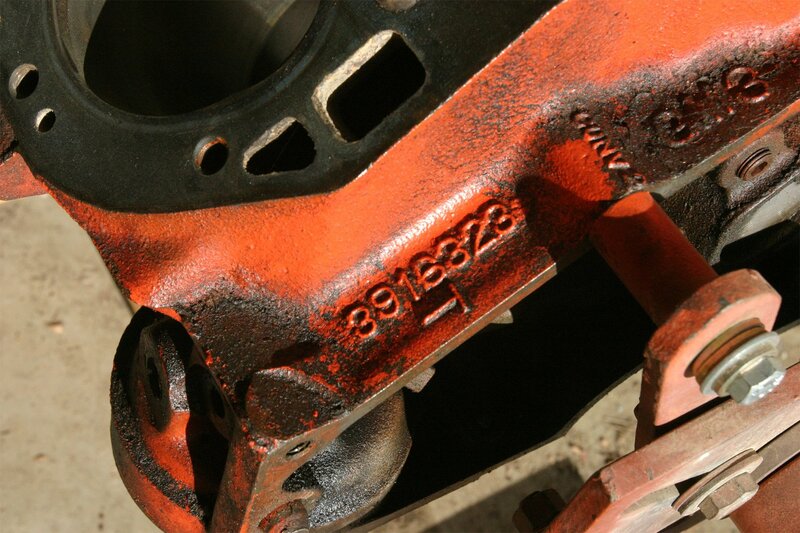 This angle affords an interesting look into the carb at WOT during a pull. While the demons which plagued this dyno session aren’t uncommon, they are rarely publicized. However, it’s soon apparent that something isn’t quite right as the engine struggles to get up to operating temperature. The demons are confirmed after the first pull only nets 442 horsepower – more than 100 off of Panaritis’ goal. After adjusting the dyno cell’s throttle linkage he makes another pull. This time, lean air-fuel ratios necessitate a carburetor adjustment. 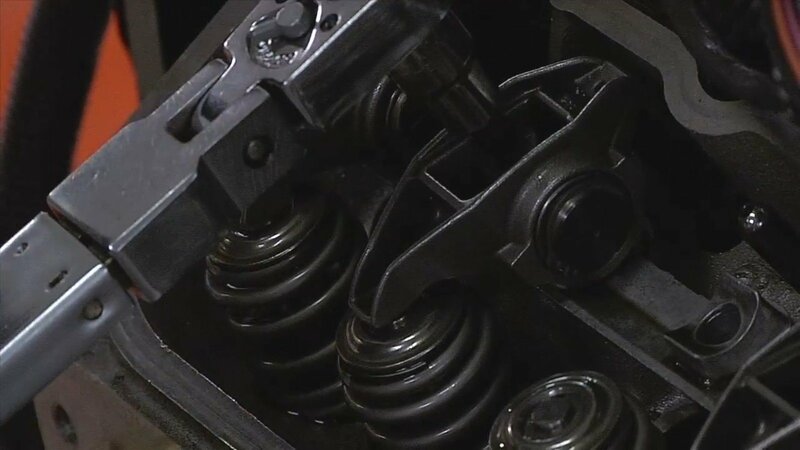 Upon entering the cell, he identifies a rocker noise, leading to him pulling off the passenger side valve cover and readjusting the offending valve. With the rocker noise fixed, and an 830cfm carb swapped on, Panaritis goes for pull number three, but finds he’s still significantly off of his power goal of 550 horsepower, and decides to take it from 5400 rpm, up to 6000 rpm for the fourth pull. However while the additional RPM does pick him up some power, it’s still not what he’s looking for out of the Hemi. Panaritis advances timing by two degrees for pull number five and is rewarded with a frustrating loss of power coupled with the return of the mysterious rocker noise. Shifting into troubleshooting mode, a turbine CFM tester is placed on the carb to measure exactly how much air in being injested by the engine. Pull number six finally eclipses the 500 horsepower mark, but is still a solid 10-percent off of where Panaritis thinks the engine should be. With the day wrapping up, Panaritis is forced to accept temporary defeat, as he waits on the delivery of new spark plug wires and a set of thicker-wall pushrods to hopefully exorcise the demons haunting this 426 Hemi. The Real Story Behind Firepunk’s Massive Dyno Explosion!